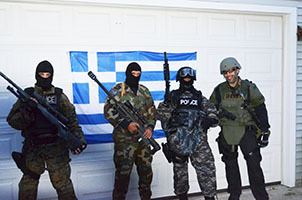 Ted Makrinos is an Army veteran and a long time police officer and SWAT member and a sniper team leader whose experience with firearms is hard to beat. 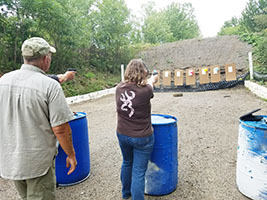 He is the owner and operator of Protect And Respect LLC and is an expert with all forms of firearm training and shooting techniques. Ted was born in Greece in 1956 and moved to this country with his family in 1970. He joined the combat MOS branch of the military in 1976 and became an armored crewman driving tanks. 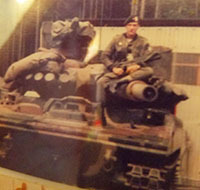 He started his career as a driver, then a loader, gunner, and finally a tank commander. 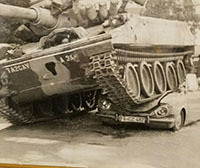 He operated the M60 A1 model tank. He spent two years in Germany, patrolling the communist border of Czechoslovakia and East Germany. While in the Army, Ted became an expert on the M-16 rifle, hand grenades, and the .45 caliber pistol. He was honorably discharged in 1980. Ted began his law enforcement career with the Brunswick Hills Police Department in Ohio. 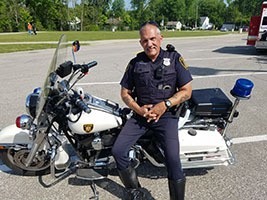 Ted then joined the Olmsted Township Police Department as a patrolman. He was promoted to sergeant and eventually chief. In 1999, Ted became a member of the Berea, Ohio Police Department, where he is currently serving. 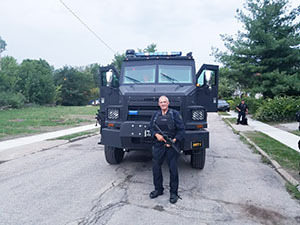 Ted joined the SWAT team in 1987, an organization that includes 19 cities in the Cleveland area. Ted was a member of the Entry Team for approximately three years, and then applied for the sniper team. He was accepted as a sniper and eventually became a sniper team leader. He has been a police sniper for 23 years. Ted is a certified NRA instructor. 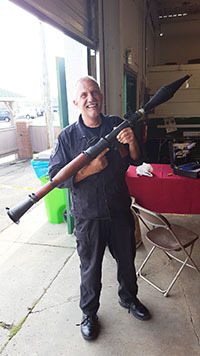 His experience with firearms is unsurpassed in his field, and Ted brings a whole new dimension to firearms training. 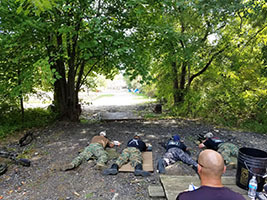 Advanced training in Shotgun Techniques, Pistol Craft Techniques, and the Semiautomatic Pistol Techniques. He has also attended advanced training in Submachine and Shotgun techniques, and the Barrett 50 caliber Sniper Rifle. He is an expert in Scout and Sniper Advanced Techniques, and the Tactical Precision Rifle. 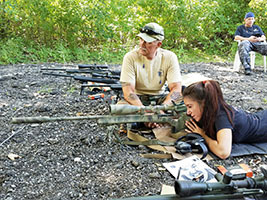 His sniper training includes being an expert in Long Range Sniper and Advanced Sniper Training. He has attended advanced training classes at the Colt M-16 and the AR-15 Armorers’ School, the Baretta Armorer Training Program, and the Smith and Wesson Instructor Training Program. Ted has instructed students on every manufacturer of weapons available. 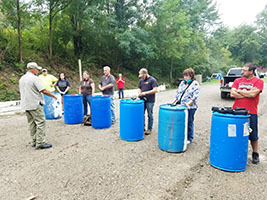 In addition to Ted’s experience in Basic SWAT Training, he has experience in the Modified Tactical Team, Hazmat Awareness, Explosive Awareness Training, Hostage Rescue Training, and Trauma Enforcement Policing. Ted also is certified in the Ohio Fire Academy Course. Text describing the classes provided by Ted Makrinos. Text describing the classes provided by Ted Makrinos. Text describing the classes provided by Ted Makrinos. Text describing the classes provided by Ted Makrinos. Text describing the classes provided by Ted Makrinos. Text describing the classes provided by Ted Makrinos. Text describing the classes provided by Ted Makrinos. Text describing the classes provided by Ted Makrinos. Text describing the classes provided by Ted Makrinos. Text describing the classes provided by Ted Makrinos. Text describing the classes provided by Ted Makrinos. Text describing the classes provided by Ted Makrinos. Text describing the classes provided by Ted Makrinos. Text describing the classes provided by Ted Makrinos. Text describing the classes provided by Ted Makrinos. Text describing the classes provided by Ted Makrinos. Text describing the classes provided by Ted Makrinos. Text describing the classes provided by Ted Makrinos. Text describing the classes provided by Ted Makrinos. Text describing the classes provided by Ted Makrinos. Text describing the classes provided by Ted Makrinos.